What if you could provide patrons with access to more than 100,000 ebooks without any limits? Now, you can. 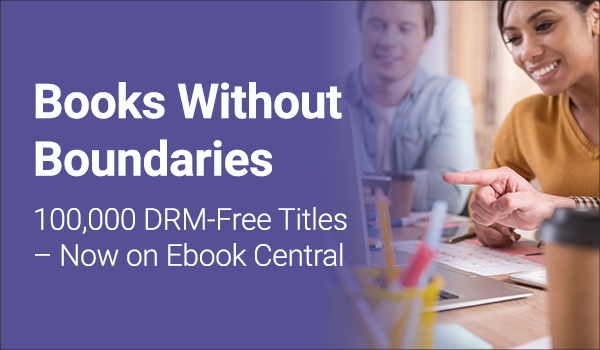 Ebook Central’s digital rights management (DRM)-free titles give patrons the freedom to read and research where and when they want. 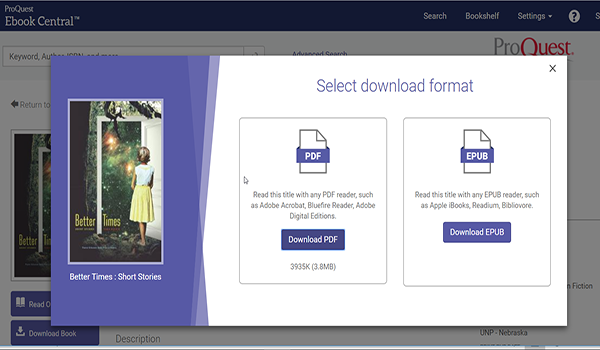 They get unlimited concurrent access to each ebook; unlimited copy, print and download rights; and no requirement to use special third-party software to read a downloaded version. And DRM-free content is easy for librarians to acquire and manage. Moreover, titles purchased as DRM-free stay DRM-free even if the titles are later removed by the publisher. And our catalog of DRM-free and other (one million and counting!) titles is constantly growing. Discover titles from a wide range of disciplines – including arts, humanities, business, medicine, education, science and technology. Download the full list of publishers who's content is fully DRM-free. Finding and acquiring DRM-free titles is simple. 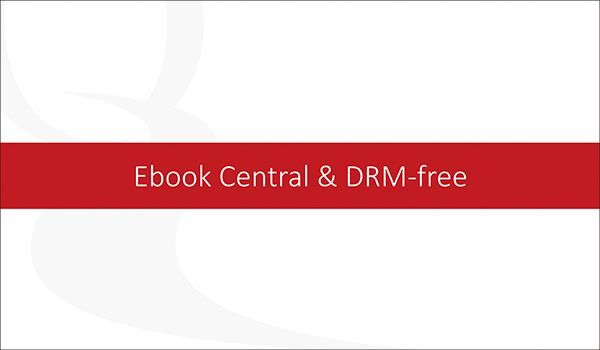 The quickest way to get the full list of DRM-free titles is on the LibCentral dashboard. Just log-in to see the DRM-free title list link in the “Latest News” section. 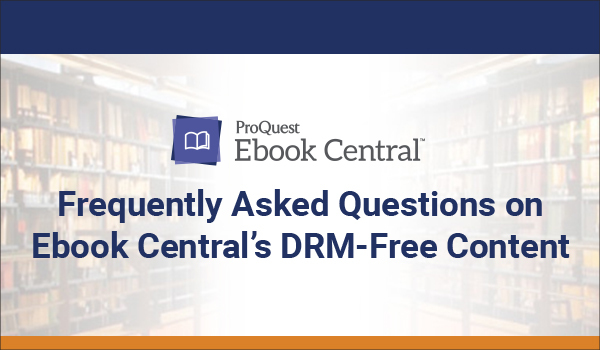 If you are not an Ebook Central customer, contact your ProQuest representative to request a list of DRM-free titles. You can also find DRM-free titles in OASIS and GOBI. Purchasing DRM-free titles is easy, too. Just look for the “DRM-Free” label beside the unlimited access price. Download this DRM-free experience PDF to see all ways you can find and procure DRM-free titles. Patrons are no longer limited to print, copy or download restrictions. They can download both chapters and full titles directly from a book’s landing page or reader. Titles will clearly indicate whether the institution has unlimited, DRM-free access to the book. Users can choose to download in either PDF or EPUB.